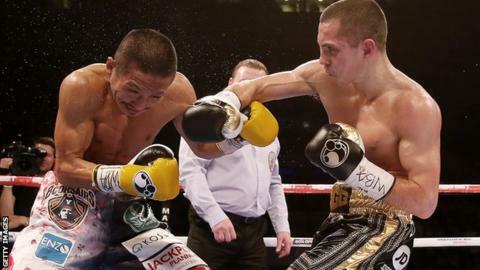 Scott Quigg wants to fight Carl Frampton after a unanimous points win over Hidenori Otake saw him defend his WBA super-bantamweight title. "Obviously the Carl Frampton fight is the fight everyone wants to see," the 26-year-old told BBC Radio Manchester. "It's the one I want. There are a lot of big fights out there and they're the fights I want to be in." Frampton, 27, revealed in September he wanted his next fight to be against Quigg after he beat Kiko Martinez. Quigg's manager Eddie Hearn revealed the two could come together in a fight in Manchester next March.